It is so hard to overcome all the overthinking that can happen when you decide to homeschool. 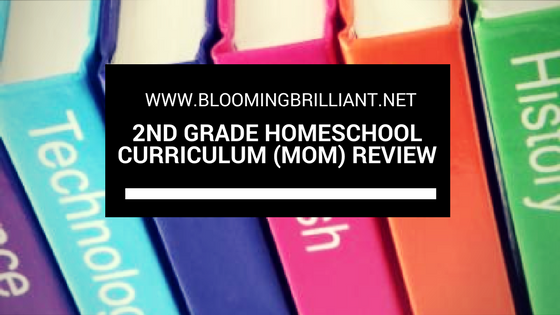 We had spent so many hours looking for curriculum for our very first year of homeschool. We shared a haul of all the books we planned to use on periscope but I didn’t know at that time if we were even going to like at that time. So we decided to review all the books we used and share it with you. 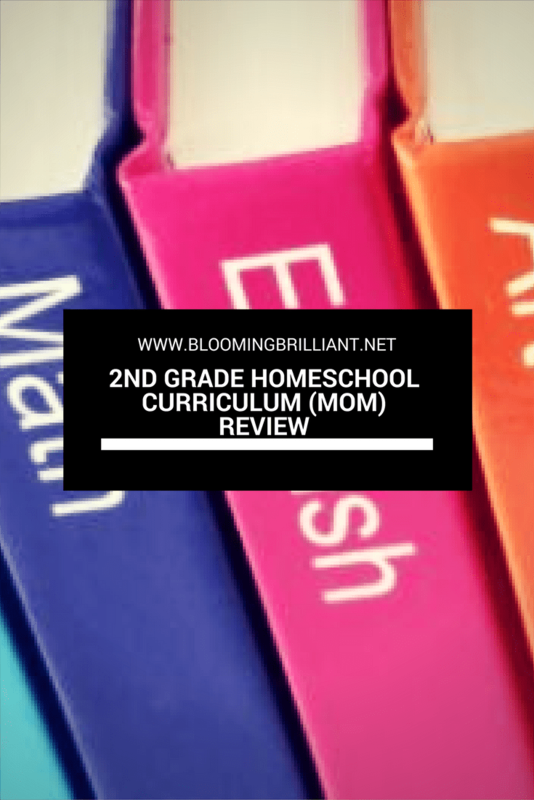 I have seen tons of reviews on YouTube of different curriculum, but it is still hard to figure out if they will work for you and your child. Isabella really wanted to share her thoughts as well, so last week we shared her review. You can check it out below, let’s get into this detailed review! This text, workbook is both colorful and engaging. Teaching writing concepts such as drafting, editing, revising, and publishing as well as all about nouns, pronouns, verbs, adjectives, grammar and so on. This book is simple enough not to need the teacher’s guide but challenging enough to teach children how to explore the literary world. These Daily Practice books are amazing, very user-friendly and give teaching instructions right in the workbook. We love how it is broken up for each day of each week. They are simple exercises that you build on throughout the week, at the end, you show off everything you learned in a little writing assignment. We did these as supplemental English. These textbooks and workbooks are also colorful and engaging with fun illustrations. This set covers a lot including addition, subtraction, multiplication, division, measuring, weight, inches, and so much more. We originally wanted to stick with common core because we weren’t sure if and when she will be going back to traditional school where she will be forced to learn common core. However, I accidentally bought standard edition, so we stuck with that and we enjoyed using it. Again these Daily Practice books are so much fun and very user-friendly. Every day you can do a question, however, they are simple enough to focus on for one day, which is what we did. There are so many skills that this book teaches such as how to read a map, what a map key is and how to use it, compass rose and how to use it, grid maps, neighborhood maps, city maps, and state maps. There are even vocabulary words each week. Such a great book to introduce your children to geography and map reading. We did some supplemental geography, if you follow us on Instagram then you may have seen our posts about our Geography party which I will share here on the blog soon. We love Science, it is one of our most favorite subjects. We love doing science experiments but we wanted to make sure we were covering more aspects of science. This textbook (bought new) includes an online subscription because you get access to a virtual teachers book, student book, labs, lessons and so much more. The labs are so much fun, your kids will love them. For reading, Isabella read a list of books both fiction and nonfiction. However, we wanted to focus on reading comprehension and making sure that she did indeed understand what she was reading. Daily Reading Comprehension Practice is another one of those Daily books that we love. Each day there is a new passage and a few questions to answer. Each week we focus on a different strategy to help us understand what we are reading. America’s Story is based on Charlotte Mason styled lessons. We absolutely loved this set and plan on using it (vol. 2 new updated version) for third grade. The story of America is written in a fun and engaging way, the illustrations and pictures are also lots of fun. What really made this set a winner though is the student journal. The student, journals everything they are learning, they can journal as simple or as creative as they want. There are tons of ideas for projects, extended reading and learning and lots of practice for other areas of your homeschool. For instance, there is copy work which will help your child with penmanship, many of the projects can double as an art lesson. For Music, we used Soft Mozart which is a computer based program which teaches about music with a focus on playing the piano. You can read a more detailed review here. For Computer/ Technology, we used Usborne Books such as How Computers Work and Coding for Beginners using scratch. We also used Typing Instructor for Kids which is a computer based program that will help your kids learn keyboarding or typing. We also used Fundanoodle books for handwriting practice because Isabella’s handwriting needed improvement. Taking the time to practice forming the letters and using their great step by step formula and handwriting boxes really helped to improve her handwriting. She also loves learning cursive with their amazing cursive handwriting workbook which we reviewed and you can check out here. Do you love a certain curriculum? Have you used any of these? Do you want to see how we used something in more detail? Let us know in the comments below. If you would like some more homeschool support, join our Homeschooling Support group on Facebook. Hey! I actually do make copies of most of the books we use, that is an expense as well (buying ink is so expensive!). Some I plan to reuse with my son and some I decided to sell on FB or in used homeschool curriculum groups. Why would I sell them when I have another child to school? Well I may have changed directions, for instance in English we will be using Brave Writer so I no longer need to keep those. They are great books but not the way I want to teach. So far I have purchased new curriculum but I am not against purchasing used. I have been looking at them more and more because some are so expensive. I hope this helps you out. For 2nd grade everything I used with my daughter is in this post. For this upcoming year for 3rd grade we are using a few different things, We will be using Brave Writer and Math U See. I will be posting a haul as soon as everything comes in. We have some of it but not all of it. It can be really overwhelming and overthinking makes it worse (I still struggle). Just focus on how your child learns and what is best for your lifestyle. It can be a drag at times but it can definitely be fun for both you and your child.